﻿ Aircel - Overly Charged Based Change The Plan Without My Knowledge. 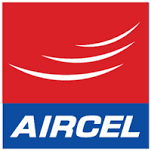 Home > Aircel > Aircel - Overly charged based change the plan without my knowledge. Aircel - Overly charged based change the plan without my knowledge.